Why Endowment Plans are Useless: A case study. A similar question popped up over coffee with an old school friend, Akash last Sunday. We were reminiscing about the good old school days, when a “mutual fund sahi hai” advertisement playing on the café television caught our attention and the conversation quickly changed tracks. I laughed at his naivety and remarked, “Yeah right, you wish”. A bit taken aback, Akash began his pitch about his insurance policy. He had purchased his first policy in 2015 on the insistence of his cousin’s aunt. It was an endowment policy with a sum assured of Rs 5 Lakhs on a 20-year tenure at a yearly premium of Rs 24,500. On maturity, he would get the sum assured plus guaranteed additions plus bonuses accrued under the policy. He called it a “triple-treat”. Poor Akash had fallen prey to the selling tactics of insurance agents, many of whom are close relatives, and had committed to a 20-year policy. Sure he would get the triple-benefits, but if only he knew it wasn’t worth it. I quickly opened the excel sheet on my mobile and illustrated how his insurance policy was going to erode his wealth rather than create it. Akash smiled smugly and remarked, ‘See, a yearly investment of Rs 24,500 for the next 20 years would fetch me an assured Rs 7.25 Lakhs, an absolute return of 47.96%’. Akash wasn’t wrong, he would indeed earn an absolute return of 47.96%, but this return is over a 20-year period. Now while an assured Rs 7.25 Lakhs at a 47.96% return does seem like the ideal investment, naïve investors, like Akash, often fail to look at the hidden bigger picture. As the adage goes, ‘A picture is worth a thousand words’. Here’s the reality of his insurance policy. As illustrated above, the actual return earned by Akash on his insurance policy is not 47.96% as promised by his cousins’ aunt, but rather 3.59%! Akash was gobsmacked. He could not believe that his beloved policy was giving him less return than a bank FD or even his savings account. Truth is a bitter pill to swallow. Akash remarked, ‘But, Deepika, this is assured and don’t forget I do get a life cover, so in case anything happens to me, my parents will benefit’. Akash was grasping at straws. Insurance, I explained, was purely designed to transfer the risk from the insured to the insurance company. It is not supposed to be an investment vehicle. You don’t buy car insurance to grow wealth. You buy it to ensure that in case your vehicle gets damaged, you will be reimbursed. The same concept applies to life insurance as well. 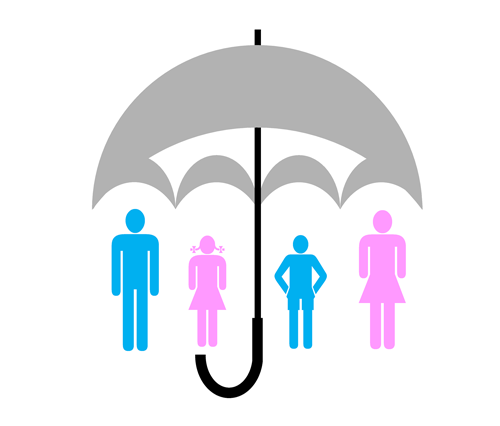 A life insurance policy should not be considered as an investment tool, but rather as protection. In case anything happens to you, your dependents will get the settlement so that their life after your demise is not hampered. The best insurance to buy, therefore, is, ‘Term Insurance’. ‘But doesn’t your money go to waste if you don’t die in the tenure of the policy?’ inquired Akash. Akash had just muttered the words that I had heard numerous times from countless people. Yes, if you’re alive at the end of the policy’s tenure, the premiums aren’t returned. Basically, you get nothing on the maturity of the policy. However, the whole purpose of taking an insurance policy is to take care of the ‘If I die in the policy tenure’ part! Insurance is a tool purely for Risk Management. He had dependent parents, and if he died, apart from the emotional loss, there would be a financial loss. He wanted to secure this financial loss and therefore needed a term cover. The strategy ahead for Akash was fairly simple. Surrender the existing policy and incur any short term loss of premium. Invest the savings from premium in a good suited investment vehicle. I charted out the below risk management and investment strategy for Akash. For a sum assured of Rs 25 Lakhs (five times the current sum assured), Akash will have to shell out Rs 4,152 (17% of the annual premium), leaving him with a savings surplus in premiums of Rs 20,348 per year. This savings could be reinvested in an investment of his choice, (hopefully not insurance! ), keeping in mind his risk apetite and time frame. As is evident from the above table, if Akash decides to invest his yearly savings of Rs 20,348 diligently in Mutual Funds for the next 20 years, he will amass Rs 16.42 Lakhs, and in FDs he will amass Rs 8.92 Lakhs, much more than his Rs. 5 Lakhs sum assured, all the while having a life insurance cover of Rs 25 lakhs, thus securing his life and growing his wealth! ‘You’re a life saver!’, Akash exclaimed. It isn’t ideal for us to expect that individual investors like Akash are aware of the nitty-gritties of insurance policies. This is why a financial planner is so important. If you too are caught in this web of unwanted and loss-making insurance policies, want to make good financial decisions, and save your hard earned money, get in touch with PersonalFN’s financial guardian on 022-61361200 or write to info@personalfn.com. You may also fill in this form, and soon our experienced financial planners will reach out to you. Till then, mutual funds sahi hai! Hi, There is a mistake in your calculation. The Surplus in premiums of Rs 20,348 is per Annum not per month. Rs20,348 per year, not month is it not? Because the premium of Rs24500 is per year. So Term insurance of 4152 per year will leave you 20348 per year not month.